Dream weddings start with your perfect vision, and only The Grandview can make that vision a reality. We consult with you every step of the way to create memories beyond what you could have ever imagined. Our goal is not only for you to have your dream experience but also for all who attend to feel as if they are the most special people to both of you. We try to make our impression on your guests by catering to all of the five senses. 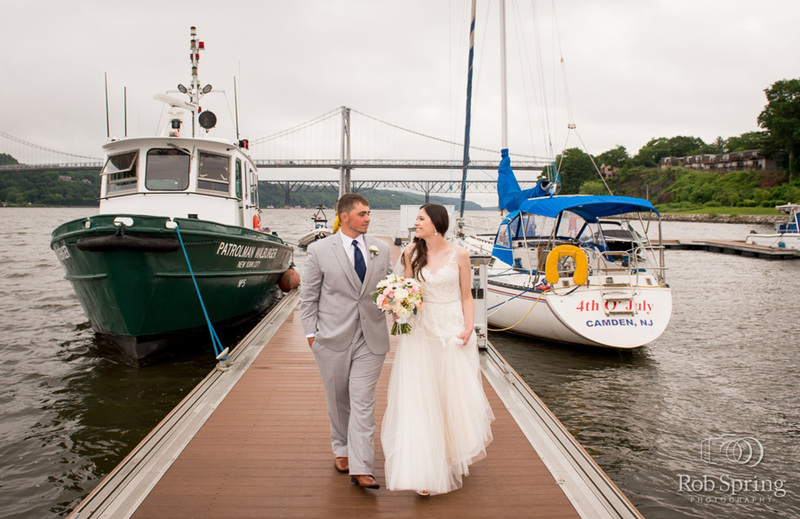 Seeing is believing when they step outside your ballroom and witness the breathtaking views of scenic Hudson River. The smell of fresh baked breads, wedding cake, and desserts made to order in our on-premise bakery is intoxicating to all who walk though our doors. Take a virtual tour through The Grandview and see all the event space we have! See how past Grandview wedding couples put their unique style into their waterfront wedding. Check out some of our favorite Pin Boards curated by our very own wedding coordinators! We LOVE our fellow wedding professionals! They say you’re only as good as who you surround yourself with, and that sentiment stands true with these Hudson Valley Wedding Professionals. To assist you with your wedding planning process, we’ve gathered a great number of vendors that can help make your dreams come true! Find Your Event Planning Team Here!